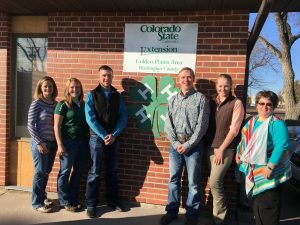 The 2016-2017 Premier Farm Credit CSU Student Board of Directors presented their final projects to Premier Farm Credit’s Board of Directors and members of Premier Farm Credit and Colorado State University staff on April 21 at the CoBank Center for Ag Education (located on the Colorado State University ARDEC facility north and east of Fort Collins). The group was welcomed by Dr. James Pritchett, Executive Associate Dean of the College of Agricultural Sciences, Rick Sanger, President and Chief Executive Officer of Premier Farm Credit, and Dr. Joleen Hadrich, Associate Professor in the Department of Agricultural and Resource Economics. All spoke to the strength of our growing alliance and the bright future of the students. The students then presented on two topics: a Beef Cow Herd Replacement Calculator and a 4-H and FFA Grant Program. 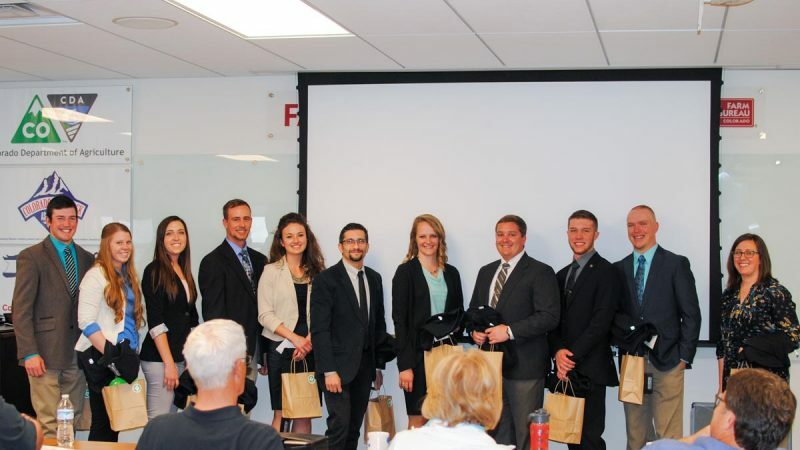 The students did an outstanding job, both in the overall project packages and the final presentations. Their exceptional maturity, critical thinking skills, and leadership abilities were quite evident throughout the year. The group was advised by Dr. Joleen Hadrich and Dr. Alessandro Bonanno, both in the CSU Department of Agricultural and Resource Economics. This marks the third year of the program for PFC. 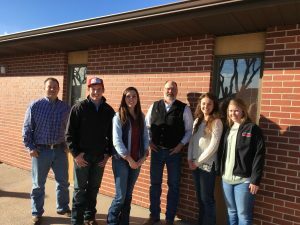 Each year, we advertise for and collect applications within the College of Agriculture at Colorado State, and then select 10 students to be members of the Student Board of Directors. The students receive a stipend and chance to network and conduct real-world research that benefits our association and customers. In turn, we have the chance to share more about our Association and the Farm Credit system, as well as get to know a few faces that will be leading the ag industry in the future. We look forward to continuing the program in the fall.